We all have those days where getting ready seems like the hardest task in the world. The days where you just want to hibernate in your bed without a care in the world. Unfortunately, most days it just isn’t possible. So you have to drag yourself out of bed and try to make the most of the day. Since that isn’t the easiest thing to do, the least we can do is dress comfortably. Here are my top three lazy day outfits depending on what I’ve got planned for the day. This outfit is perfect for those days where you have to go outside and do something but it’s not something fancy or formal. For example, going to your lectures, running some quick errands or simply going shopping. There’s nothing better than a pair of converse, your favourite black skinny jeans and a comfy jumper for days like that! Sweatshirt: PointlessBlog Sweatshirt from the Creator Store. This outfit is for those days where you just can’t be bothered to make a lot of effort with your outfit but would still like to look quite put together. This is what I normally wear for a more casual meeting where you still want to impress someone. Formal at the top, comfy at the bottom – smart casual at its finest! Pair a dressy blouse with some black skinny jeans and your favourite trainers and you’re good to go! You can never go wrong with all black everything. Jeans: Jenna Skinny Jeans from New Look. Last but not least are the days when you’re just too lazy to leave your house. I know, sometimes you just need those days in your life. 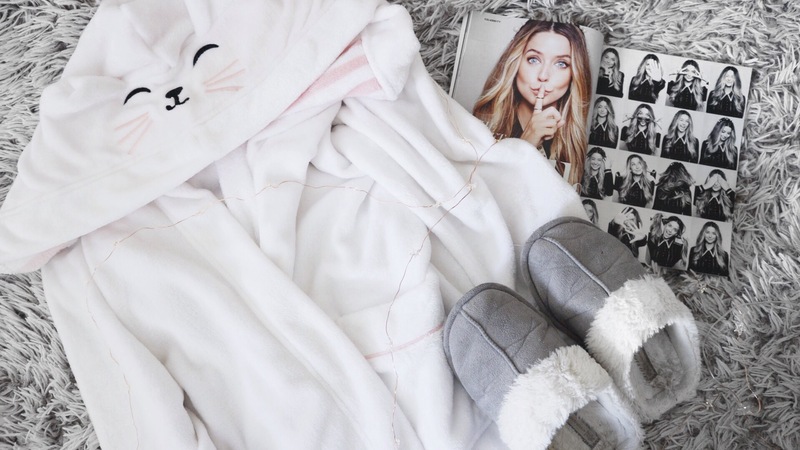 There’s nothing comfier than a pair of soft slippers and your favourite robe. Grab yourself a magazine to read and you’re good to go for your lazy day! That’s it from me for this week! Have an amazing week and tweet us pictures of your lazy day outfits at UCBloggers! Hello everyone, I hope you’re doing well! This week I wanted to talk to you about some important life choices. Well, one of the most important life choices I would say. That is: what to do after high school? Should I go to university? Should I have a gap year? Should I scrap going to university and go straight to work? What course should I study once I do go to university? I attended events at my high school where they would talk about various universities and degrees that got me looking at various universities. One of the booklets that I took with me was UCB’s. Once I read through all of the courses I just tried to find something I would potentially be interested in. I found events management quite an interesting industry so I decided to look more into that. My brother actually advised me to choose a degree to cover multiple fields in order to make sure I’d like at least some parts of it. Also, that means you learn more about various fields, therefore resulting in more job opportunities. That is how I found Marketing & Events Management and I am so glad I did. Through the three years of my studies I have actually started to love marketing and dislike events management. This is why I can honestly recommend choosing a degree that has at least two different aspects to it if you are not certain of what to study but are determined to go to university. It was honestly the best decision of my life because I no longer feel lost and uncertain about the future. I know marketing is going to be my career and I could not be happier. Now the tough part, choosing the university. I applied to University College Birmingham, University of Central Lancashire, University of Bedfordshire and University of Northampton (as you can see, I was determined to study in the UK as that has been my dream all my life). When I got into all of them, I was extremely confused of what to do next. I mainly looked at student satisfaction and the location of the university. UCB has amazing support facilities for international students and since I knew I’d be so far from home, that was very important to me. Also, Birmingham is the second largest city in the UK and I’ve always been a lover of big cities so it sounded like a dream to me. This is how I decided that I would move from a small city in Estonia to the second largest city in the United Kingdom. One of the scariest but best decisions I have ever made. I just wanted to let you know that whatever you decide is okay. But I also want you to know that although going to university might be a scary idea, it does not have to feel like that. Also, whatever makes your heart race is probably worth doing. Life has been pretty stressful for me lately with all the assignments, my dissertation, work and other responsibilities happening at once. It can get extremely overwhelming at times, which is important to take the time to relax. I personally feel like I cannot take a break because I need to work on something every minute of every day. Most of the time I run everywhere last minute because there’s so much going on I simply start forgetting things. Yesterday I came home from work and told myself this can’t be how I deal with everything so I made a plan, relaxed and now I feel so much better so I thought I would let you know how I did it! I got home from work, dropped all of my bags and fell onto bed. I felt guilty for just sitting there as I have so many things to do but then I told myself that I’m not going to get anything done if I just keep stressing over it. So I got up, took out my list making planner and wrote a list of all the responsibilities so I would have a clear idea of everything. I wrote down all of my meetings, assignment deadlines and appointments just so I would feel like I was on top of it all, which already made me feel a thousand times better. AND NOW, it’s time to de-stress. I got into the comfiest pyjamas I own and filled my bed with comfy pillows and blankets. I got myself some hot chocolate, sat on my bed with one of my favourite books to read at stressful times named ‘Calm’. It is supposed to calm the mind and for me it certainly does. I used the app that comes with it to put some soothing music on in the background and it was so lovely. After feeling a bit better, I put on a face mask and grabbed a magazine to read that I have been meaning to read for months. I read about all the other things happening in the world, which made me forget all the problems of my own. After that, it was time to get ready for bed! I took a loooooooong warm shower and used my favourite products. Then I used a lovely body cream to have that little extra pampering session. 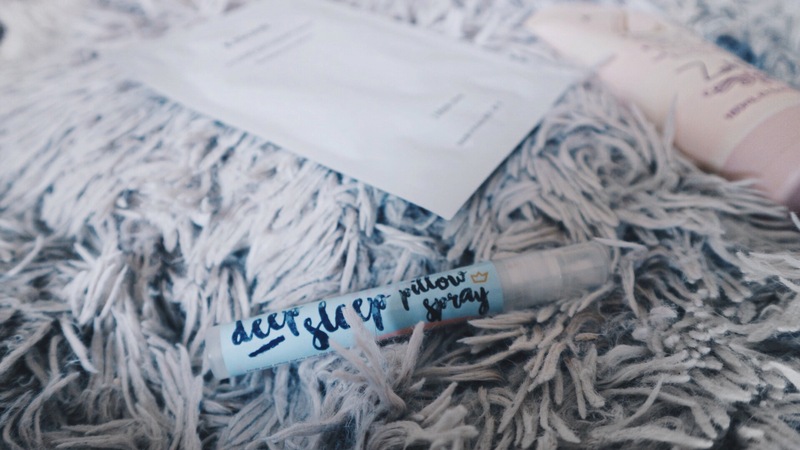 Finally, I sprayed my pillows with a ‘deep sleep pillow spray’, which always makes me fall asleep really fast and I get the best deep sleep. Today, I feel like a completely new person ready to take on the world again. I hope this blog post made you feel less alone if you’re stressed like I am and gave you a few ideas on how to overcome it. Stay strong! UCB Goes To International Confex 2017! This Thursday, we (UCB Marketing with Events Management students) went to the International Confex of 2017 in Olympia London that is held every year. It is the UK’s leading event for event organisers across the world (hence the name ‘international’). This is all about the newest innovations within the events industry as nowadays everything needs a unique selling point otherwise it is extremely difficult and practically impossible to stand out from the crowd. It takes place for two days and we went on the last day. At this event, event industry professionals can buy various products or services for their events for amazing prices. Even though we are not quite events professionals yet, we were taken there in order to show the latest innovations in the industry. This also relates to our assignment for one of our modules Innovation in Events where we have to discuss the latest innovations and pick four of our favourites. I have definitely made my choice now (although the choices were endless at this event)! 1. These robots could walk and even dance (we saw an amazing dance to Gangnam Style). They look at you when you wave to them and sense your movements. I fell in love with the red robot and I feel like I need one in my life! Beware, they do cost a few thousand pounds though haha, not quite fit for my student budget! 2. All the ground floor stalls from up above. 3. The cutest Ice Cream car that can be hired to any event! Get your ice cream directly from this retro car, I found it SO cute! 4. Mega Booth aka the place we spent far too much of our time at because we were obsessed with their photo booth and the amazing backgrounds! 5. This is literally air / smoke that you can consume. You put your straw into this machine in the foggy air and voila – 0 calorie dessert that tastes like candy! This is by Lick Me I’m Delicious, which is just the coolest brand name ever! Even the cotton candy that they make is in so many different flavours and shoots out of the machine towards the sky! No doubt this would make your event one to remember. 6. This is for all those adventure lovers! So many opportunities to have forest adventures around the UK (I believe they said they are in 30 cities/towns!). 7. The coolest place you can eat at as this is a restaurant, bar AND a club! Get all those experiences in one! 8. Beautiful balloons filled with anything you’d like AND they promote your brand logo on it! Would be so amazing for product / brand launches! 9. I just liked the design of this bar… That’s about it haha! 10. You could even get your brows done for free at the event AND they gave amazing deals for all the products they used! Got to love student bargains! 11. This is a robot that walks, talks, dances, cries and just has a mind of its own. Oh, by the way, it’s the robot that Rihanna hangs out with. HOW COOL IS THAT? 12. GuineaPig was one of my favourite parts. They’re basically balloons that just move to the rhythm of the music. It was so weird but so wonderful at the same time and I don’t even know why. So if your event involves music, I think you pretty much need these in your life. 13. This stand provided the most awesome bubbles I’ve ever seen. The tiny bubbles would turn into smoke once they burst – WHAT? How’s that even possible? And they would even put you inside of the giant bubbles! Definitely entertainment worth thinking about!